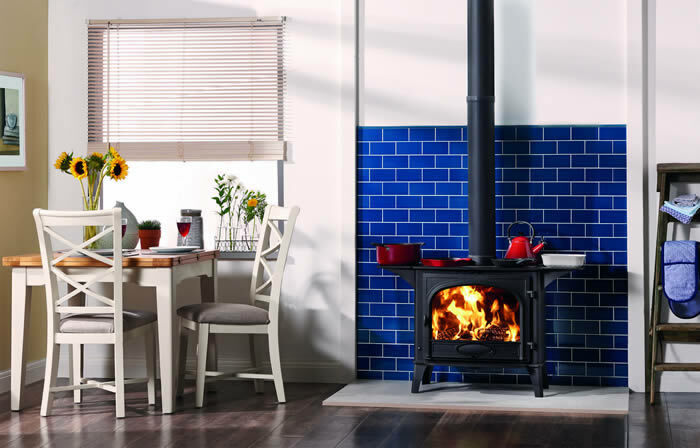 Recent years have seen soaring demand for wood-burning stoves, with more homeowners than ever looking into the options. Andrew Ireland, managing director of Suffolk Stoves, says the trend escalated following the demand for greener energy, rise in fuel prices and uncertainty over the future of our oil and gas supply. “At the same time, fashion trends also dictated that a wood-burning appliance was the ‘must have’ essential in the modern home,” he points out. Andrew, who stocks a wide range of products at his Middleton-based showroom, often works with architects in Norfolk to add the perfect finishing touch to a home conversion or extension project. “We aim to ensure the right product is purchased and installed safely alongside a commitment to optimum design and aesthetic,” he says. As the drive towards reducing pollution and improving air quality continues, ever-more efficient models of wood-burner are being launched. Ecodesign the European-wide programme to lower emissions is due to come into effect in the UK in 2022. Homeowners should always consult with a Heating Equipment Testing and Approvals Scheme (HETAS) approved installer or retailer to ensure they find an efficient and safe model. They should also familiarise themselves with required building regulations and are urged to understand the importance of wood quality when it comes to stove efficiency. Quality assurance scheme Woodsure has recently launched its Ready to Burn stamp of approval to guarantee wood has come from a sustainable source, meets European standards and is dry enough and ready to burn. Burning wet wood is inefficient as it demands high levels of heat to boil off the water and it creates smoke which damages chimneys, blackens appliances and contributes to air pollution. Dry wood that has been properly sourced and seasoned or kiln dried produces fewer particulates and provides more heat efficiency. Bruce Allen, chairman, of Woodsure, says: “Today, modern heating appliances are highly engineered, efficient pieces of technology that do a fantastic job – but they can only do so much without quality wood fuel. “Think about it, if you bought a super clean energy-efficient car, would you choose to fill it with a fuel that you were unsure of?